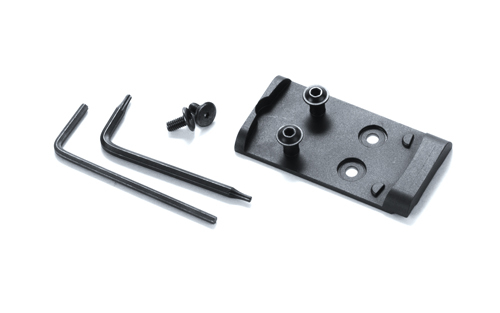 This alternative mounting plate for Glock MOS pistols offers significantly lower slide mounting than the standard 04 plate. The lower a red dot sight can be mounted, the faster and more naturally the shooter can acquire targets. This ultra low plate allows for the lowest possible mounting on the MOS pistol along with perfect co-witnessing of the JPoint to the iron sights. Made in the UK by Shield PSD.